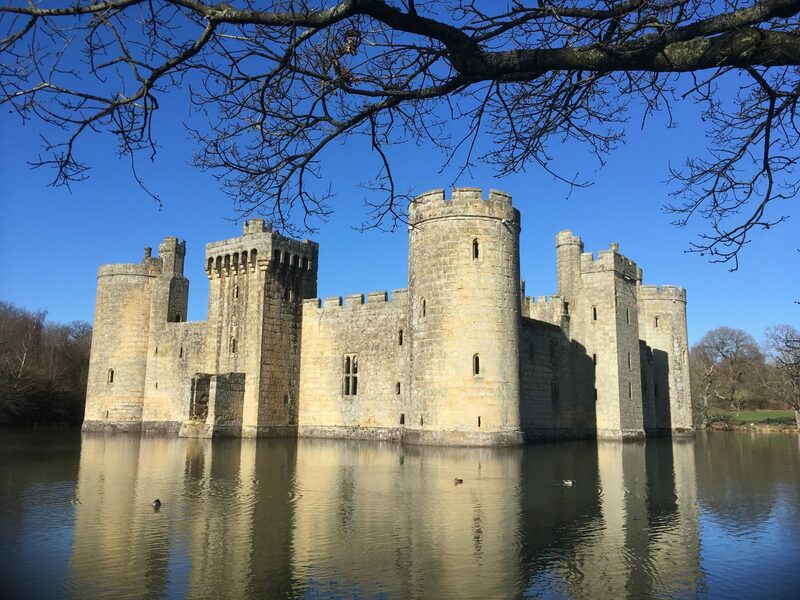 Of all the castles I’ve visited in the UK, I’d say Bodiam Castle, set amid the idyllic East Sussex countryside, is one of the most evocative. 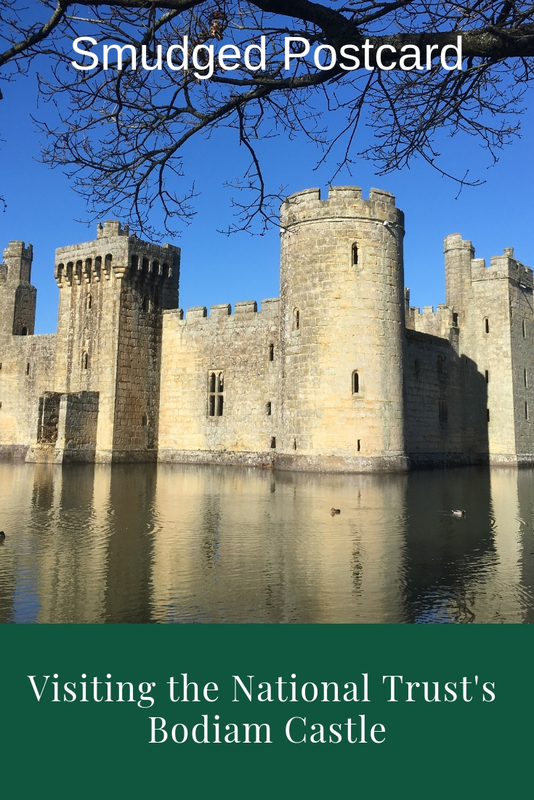 Encircled by a wide moat, Bodiam Castle has towers to climb, tunnels to explore and an imposing gatehouse. Everything my 6 year old son has learnt at school about knights and fortresses, can be brought to life at Bodiam Castle. 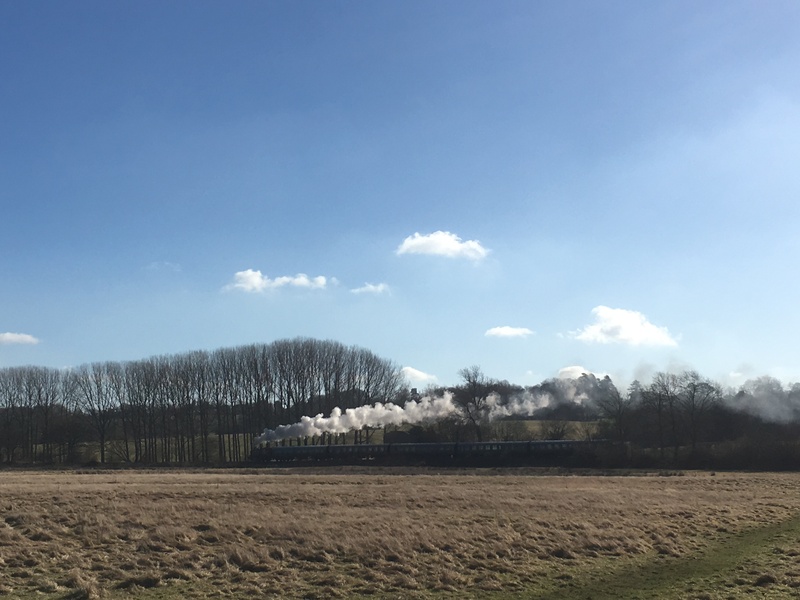 Even the journey to the castle is thrilling: the Kent and East Sussex Railway operates steam trains from Tenterden to Bodiam; as approaches go, it takes some beating. Built in 1385 by wealthy mercenary Sir Edward Dallingridge, Bodiam Castle was part status symbol, part defensive fortress. There were peasant revolts and French invasions to contend with in south east England so any self-respecting knight had quite a responsibility to keep his family and guests safe. 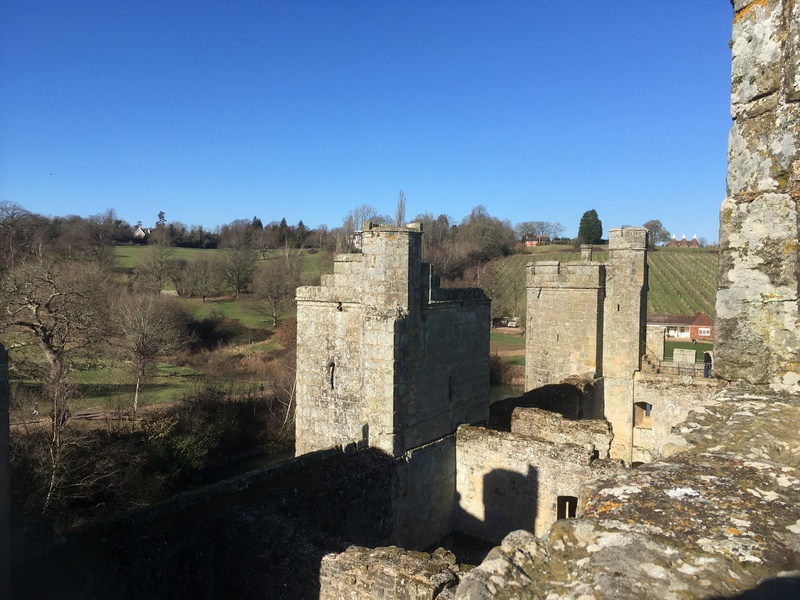 There are two towers to climb at Bodiam, each reached via a spiral staircase and each offering serene views over the surrounding High Weald landscape: gently rolling hills, rivers, farms and oasthouses. 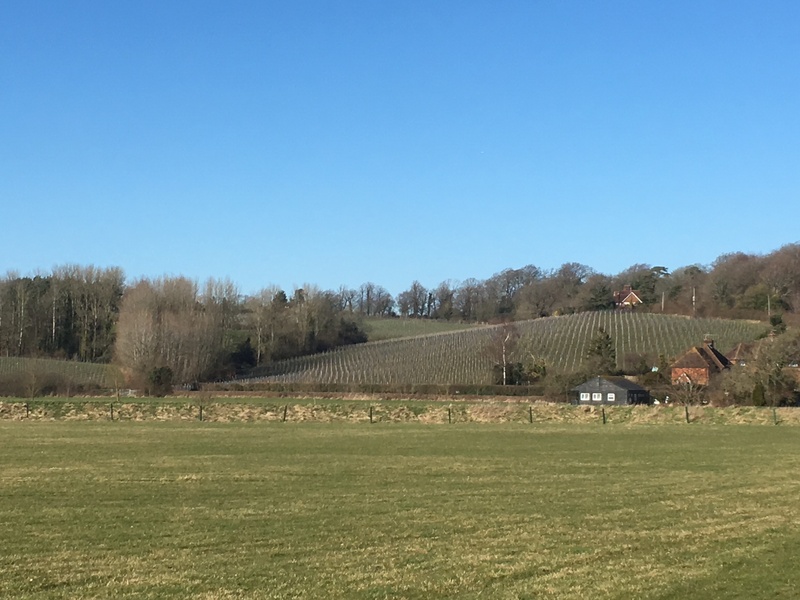 We noticed the beginnings of a new French invasion: crisscrossing a nearby hillside is a series of vines planted by the Moet and Chandon Champagne house. If you’ve ever fantasised about opening up a luxury hotel, now might be the time to work on your business plan. No doubt in ten years time when more land is filled with vines, there will be luxury wine retreats popping up all over the place catering to visiting oenophiles. 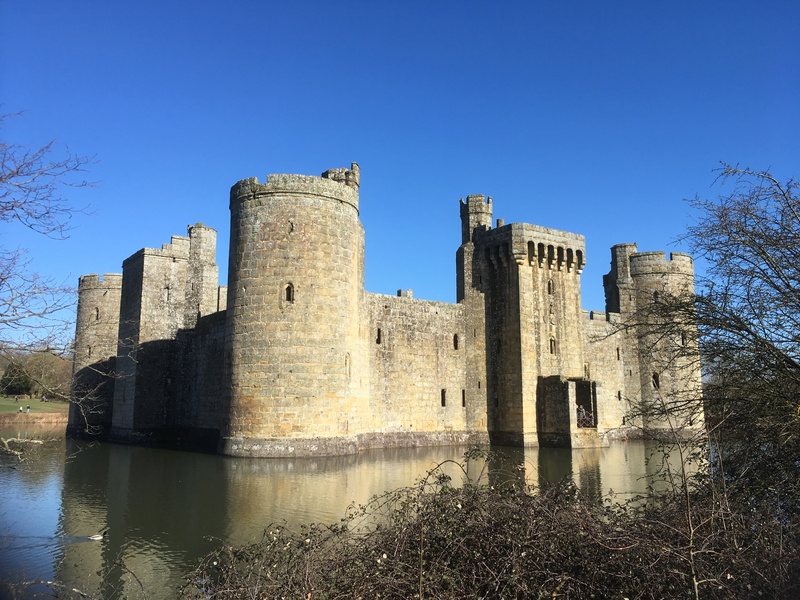 One of the highlights of Bodiam Castle is the original portcullis which guards the entrance, a rare and remarkably intact example from the medieval period. 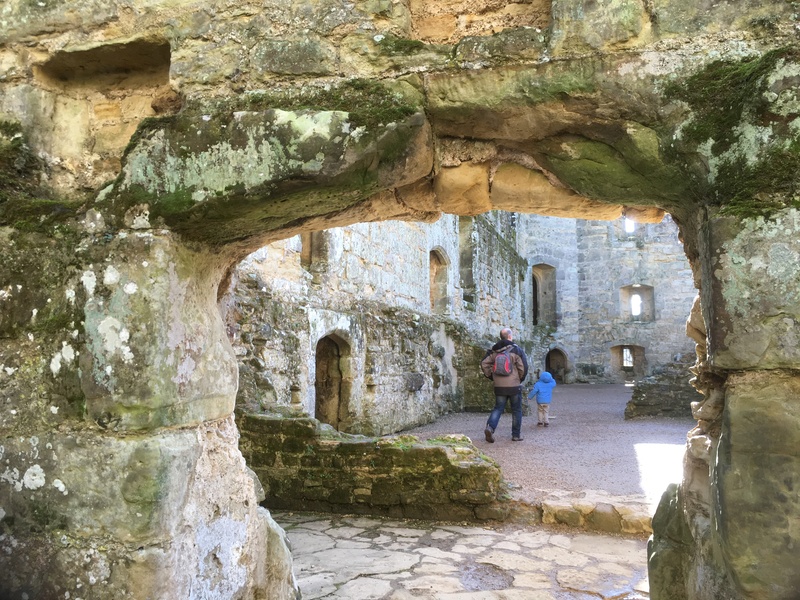 Combined with the “murder holes” (where something unpleasant like hot ash would be deposited on the enemy through the ceiling) it makes Bodiam’s gatehouse a thing of wonder to a small child. Although much of the interior of the castle is ruined, it’s easy to imagine life at medieval Bodiam. We wandered along the galleries where minstrels would once have entertained guests in the Great Hall below. In the kitchen we discovered huge fireplaces where bread would have been baked and feasts prepared. Storage rooms, now perfect hiding places for excited children, were once filled with wine and beer. 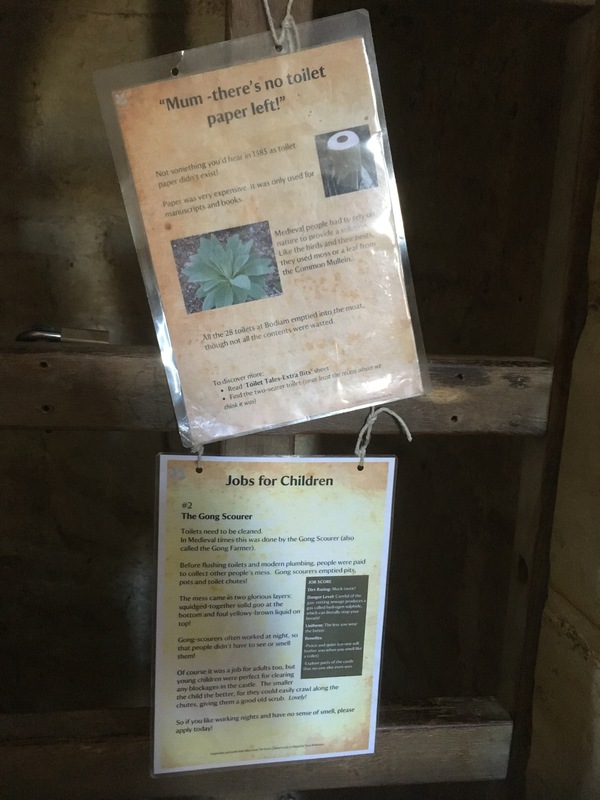 There was a trail of posters to discover in the castle and the grounds explaining which jobs children might have done during medieval times. My boys were suitably horrified to read about “gong scourers”, small children who were responsible for scrubbing blockages from the narrow chutes which carried waste from the toilets into the moat. I might remind my children of this next time they complain about the “job” of tidying up their bedrooms. If you’re not National Trust members, it’s £10.80 per adult and £5.40 per child to enter the castle or you could just wander around the grounds for the £3 car park charge. There is a small discount if you combine rail and castle. 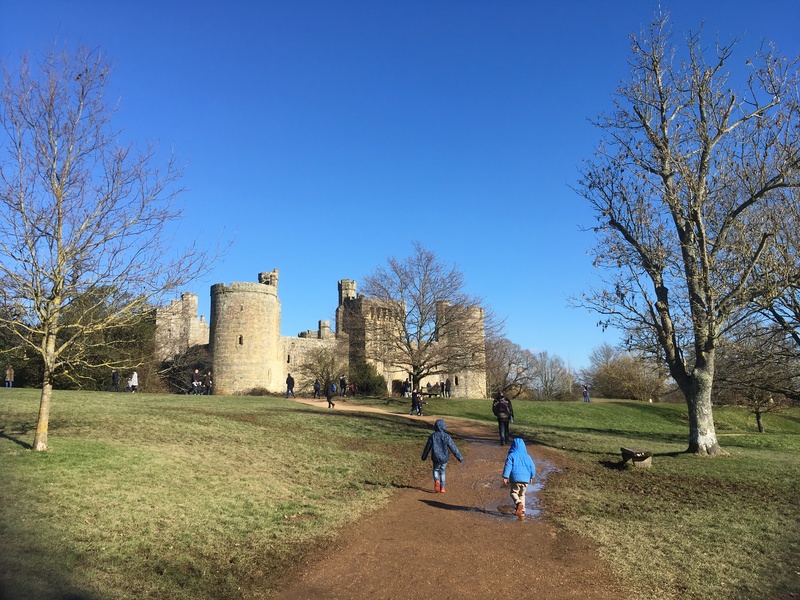 From Bodiam train station, it’s a short walk up to the entrance of Bodiam Castle where the car park, shop and cafe are located. The toilets are also located there (none at the castle itself). From the entrance, it’s a further 10 minutes’ walk to the castle. On my father’s recommendation, we stocked up on chocolate brownies at The Chocolate Shop in Tenterden before taking the train to Bodiam. The brownies are excellent. Have you visited any castles in the UK with your children? Which are your favourites? Let me know in the comments below. Our other National Trust outings include Snowshill Manor in the Cotswolds and Wimpole Estate near Cambridge. Oh my…those toilet cleaning duties are terribly harsh! Yes, it’s such an enjoyable day out: train and castle, perfect mix for my kids! What a brilliant idea for a hen do! I love visiting old castles with the kids. 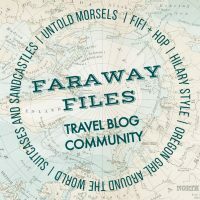 I actually have alist of castles and old monasteries I want to visit with the kids here in Spain but now I think it would be a good idea to start a list for the UK too 😉 Gorgeous photos! I’ve got a list of places in Spain I want to take my kids. The viaduct in Segovia is at the top, thanks to the Go Jetters cartoon! Oh I need to find a day to check this one out! I have heard of it but not read much about it. 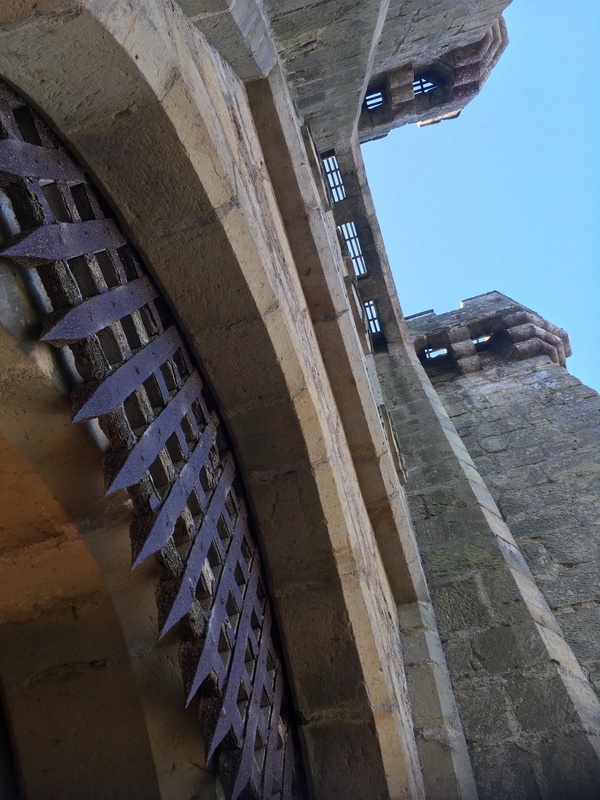 Loved your photo of the portcullis – yikes is right! 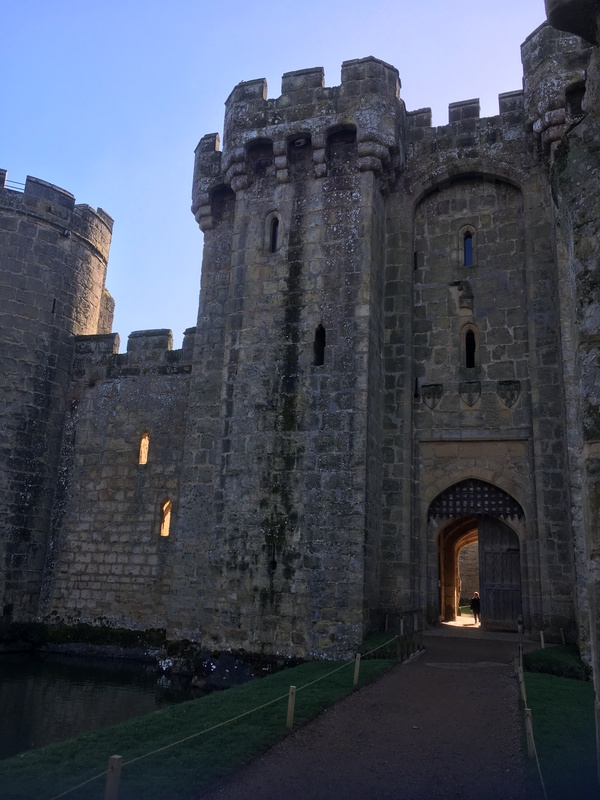 I am local to Hampton Court Palace so I am partial to it, but I have really enjoyed Dover Castle in Kent, and Corfe Castle in Dorset was really interesting – we had beautiful May weather when we were there so it probably enhanced the experience (and photos). Thanks for the tips, my 9 year old could use a reality check on child labor practices. haha! Corfe Castle is very high up my list of castles to visit! We’re so spoilt for wonderful days out in the UK aren’t we? Yes, it’s definitely one of the best for kids, and so scenic. The whole region is amazing. Yes, any way to combine fun and education is very handy! Right, I’ll set to work on it this weekend! Yes, I’d love to explore this castle! 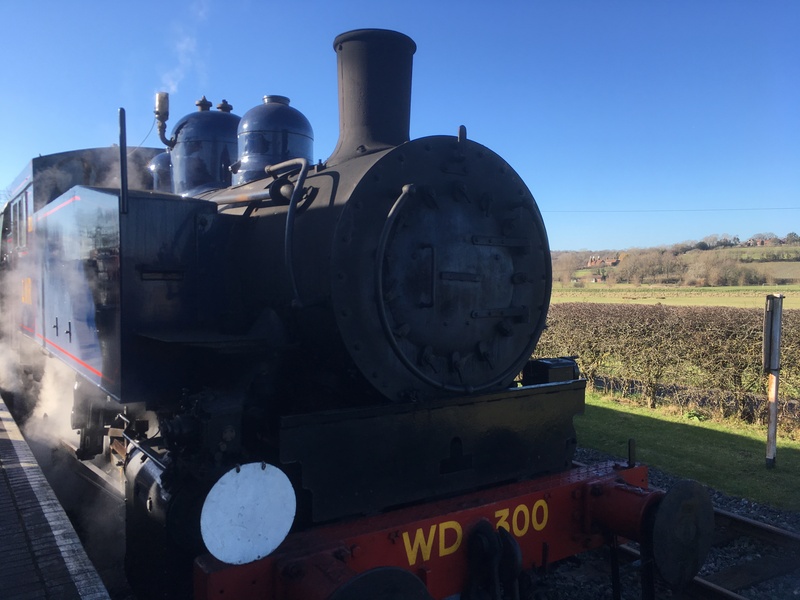 And that steam train — wow! Your photo with all the steam coming off against the scenery is fantastic. It really is great fun, with or without kids! I wasn’t familiar with it either, the UK has so many great castles! Ooh just added another UK castle to my bucket list! Love the moat around it! Thanks for linking up with #TheWeeklyPostcard! 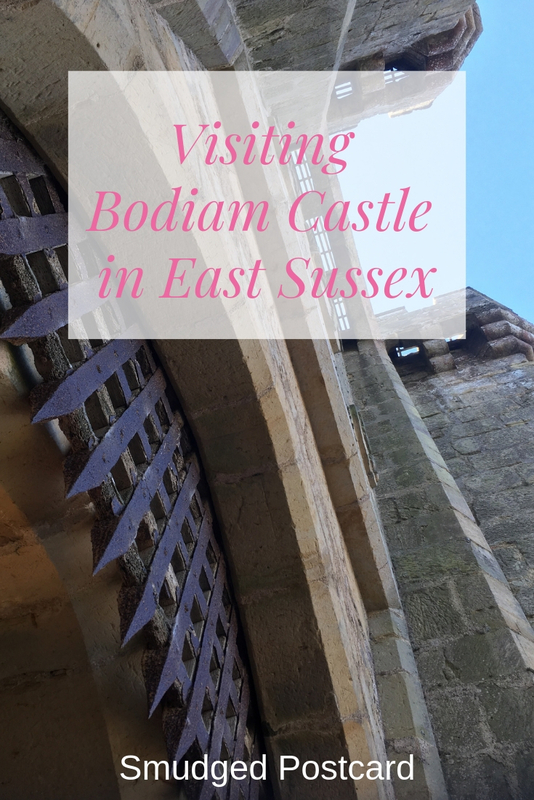 I had not heard of Bodiam castle but I am definitely going to have to add it to my list. I love how picturesque it is with the moat around it. And the history is also impressive. Thanks for sharing on #TheWeeklyPostcard. It’s a fantastic place, I highly recommend a visit! It’s definitely my new favourite!